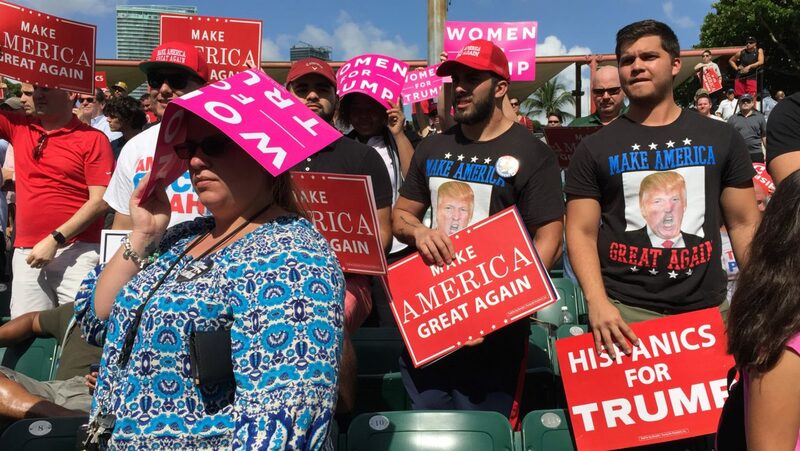 MIAMI, Florida — Jessica Mion of Miami arrived at Wednesday’s sweltering noonday rally for Republican presidential nominee Donald Trump wearing a “Feel the Bern” hat and a “Make America Great Again” tank top. So what was the Bernie Sanders supporter doing at the rally? “I should be the last person to vote for Donald Trump,” she told Breitbart News. “I’m a legal immigrant, I’m female, I’m Hispanic, I’m a Bernie supporter. “The way that I see it is that Bernie was running for the people, and so is Trump. They’re populists. That resonates with me. “Not at all. I feel like he was coerced into supporting her. I believe he was beaten into submission, beaten into supporting her. “I could not, in good conscience, vote for Hillary Clinton and sleep at night,” she concluded. He predicted that Trump would win the Sunshine State. “I’m Cuban-American, and the narrative that Hispanics are voting for Clinton isn’t true. 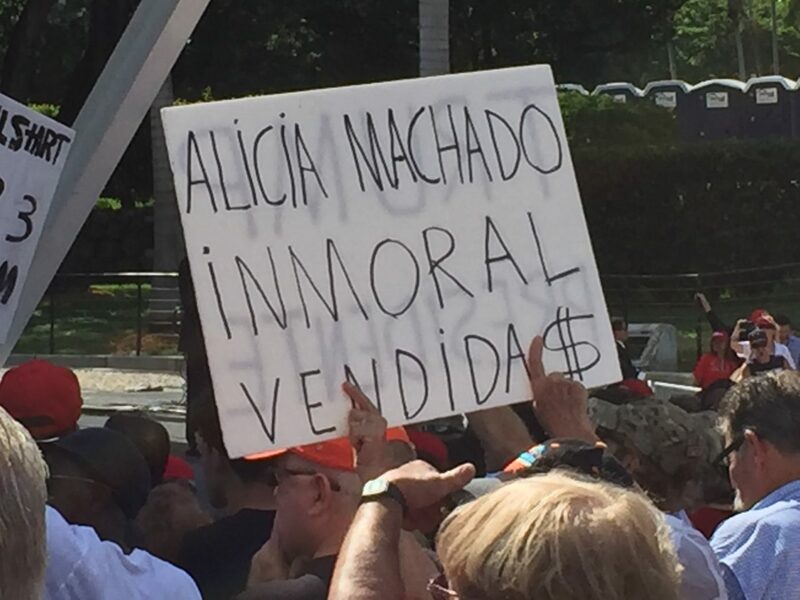 All the Cubans I know who are Democrats — including my parents’ friends — are all for Trump. 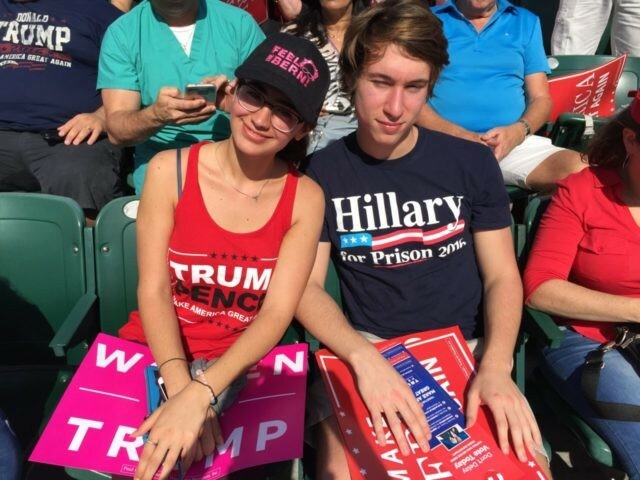 “People who are voting for Hillary Clinton just don’t like Trump, but they aren’t enthusiastic.” He speculated that reluctant Hillary Clinton supporters might not turn out at all. 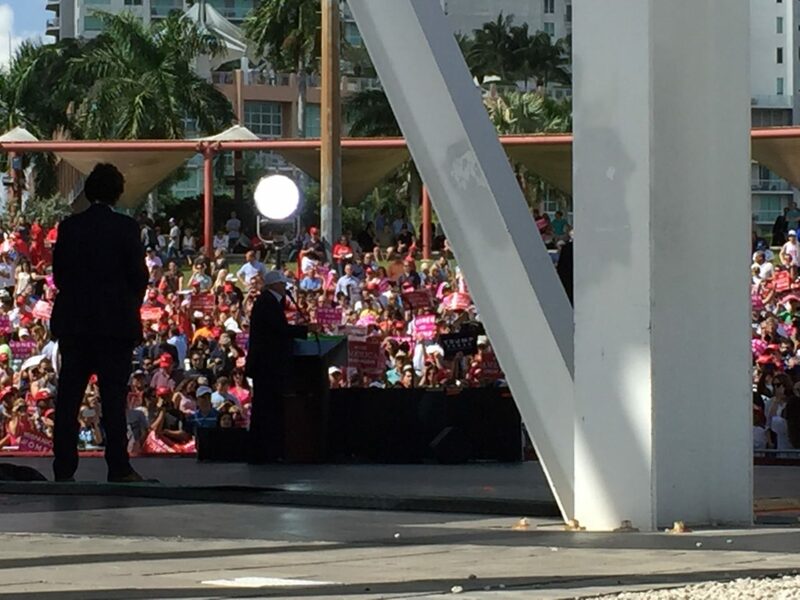 Over 4,200 turned out for the rally at Miami’s Bayfront Park Amphitheater, the first of four stops for the Trump campaign in Florida over 24 hours, including Orlando, Pensacola, and Jacksonville.